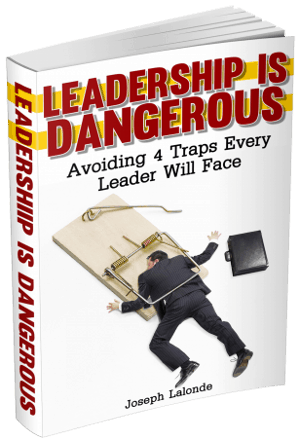 One thing I look for in a leader worth following is whether or not they’re willing to draw a line in the sand for the right reasons. To the average person, this may seem odd. Why would someone want someone leading them who does this? For me, the answer is easy. By drawing a line in the sand, this type of leader is telling you what they believe. You know where they stand and what they’ll take. Leadership is a relationship with people. Leaders interact with people. Leaders push and prod and guide people. They also have to set boundaries. That’s really what drawing a line is all about. When a leader draws a line, he’s saying: This is what I believe. This is what I will accept. This is how far we will go. Being in the position of having to draw the lines can be a bit intimidating. It almost feels like you’re telling people what they can and can’t do. To an extent, that’s what you’re doing. They’re guidelines and they’re there to protect people. 1. How do we treat people? A line needs to be drawn on how we treat others. Laying down an expectation that the customer, and employees, will be treated with respect should be a line that is drawn for every organization. 2. What do we want to be known for? The next thing we need to know before we draw a line is how do we what do we want to be known for… Do you want to be known for excellent service? Then set boundaries regarding that. Do you want to be known for promptness? Let it be known that timeliness is needed. 3. Who are we serving? Treating people well is a key component. Knowing who you serve is taking it to the next level. Not all customers are the same. You still treat them with the same respect. Yet when you have a certain clientele, the way you interact with customers may be different. Set the expectation of how this will go and draw the line. 4. Are we honest? I hope the answer is yes but I know there are organizations where honesty isn’t a big deal. It should be. We should also make sure we draw the line on telling the truth. Let your team know that it is expected. Drawing a line in the sand in business can be nerve-racking It means you’ve got to let people know that their behavior is unacceptable and won’t be tolerated. But there’s a silver lining. By drawing that line, you’ve already set the tone for the organization. They know what is expected of them. They know how you’re going to treat them. They know what they can and cannot do. It’s really all about creating a freedom to do great work. Don’t be scared of drawing the line. 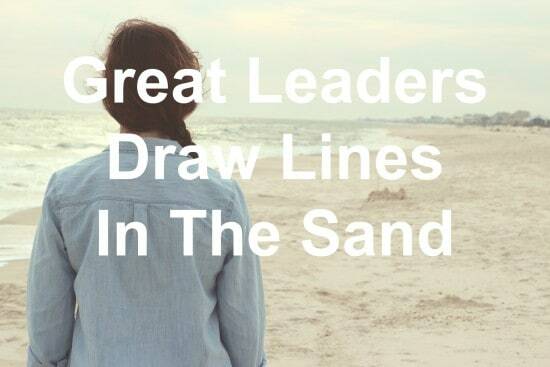 Question: Have you drawn a line in the sand in your organization? Why or why not? Discuss this in the comment section below. What Are You Willing To Do To Get Ahead?